The Plastics Industry Association (PLASTICS) knows that a thriving plastics industry provides security for our families and strengthens the communities where we live and do business. The PLASTICS advocacy team makes sure our elected officials know, too. Over many years, PLASTICS has developed positive working relationships with policy makers, allowing us to convey our comprehensive legislative agenda. 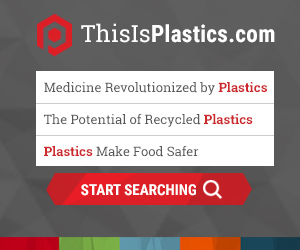 The Plastics Industry Association PAC (PLASTICS PAC) is an important advocacy tool that compounds the resources of people employed by the plastics industry and gives them a voice in Washington, D.C. The role of PLASTICS PAC is vital because it is the only political action committee focused on the needs of the entire plastics industry. PLASTICS PAC is a non-partisan political action committee. We support federal candidates—regardless of party affiliation—who prioritize PLASTICS’ issues and advance our legislative agenda. Candidates must be running for congressional office. We do not participate in the election of the President of the United States. Challengers who offer a pro-plastics industry platform will be supported over an incumbent who has consistently voted against PLASTICS interests. Preference is given to leaders of key congressional committees who are likely to consider legislation that affects the plastics industry. Contributions are made directly to candidates’ campaigns. We do not contribute to leadership PACs. For more information about PLASTICS PAC, PLASTICS members may view the 2017 Annual Report. Learn how PLASTICS PAC contribution recipients ranked according to their votes on legislation regarding American manufacturing and business. PLASTICS PAC has many successes to share, but federal law requires that PLASTICS PAC obtain permission to communicate directly with the employees of our member companies. Therefore, PLASTICS must gain prior approval from the top executive or PLASTICS’ voting representative of a member company before we can directly solicit donations. If your company would like PLASTICS PAC to communicate with you and your management and administrative team, please download and submit the Plastics Industry Association PAC Prior Approval Form. Please note that companies may only authorize one trade association per calendar year to communicate with their employees. To reduce the paperwork burden, companies may grant PLASTICS PAC authorization for multiple years. Federal law requires that only U.S. citizens and permanent green card holders may participate in the PAC. PLASTICS PAC operates under the rules established by the Federal Election Commission.